If you’re looking for new fundraising ideas for charities, we can help. Here at Cash 4 Coins we exchange foreign coins for cash. Organising a foreign coin collection is one of the most effective ways to raise money for your charity. It’s fast, simple and easy and we can offer help and advice on the way to make it as profitable for you as possible. It’s really this simple – you organise a foreign coin collection, we collect the currency from you. We then count and sort the currency and provide an offer to buy – if you accept this then we will usually have payment to you within 2 hours. And the best thing is that if you don’t accept the offer then we’ll return your currency free of charge – so there is no risk. This is why a foreign coin collection is one of the best fundraising ideas for charities. We have assisted many charities, schools, hospitals and large organisations raise much needed funds for their various causes. If you want to see what our customers are saying about us then take a look at our customer comments page. Our customers like our service because it is quick, easy to use and gives them more money to spend on the important things such as new equipment, a day out or simply to keep in the bank for when it is needed the most. Charities depend on donations from other people and Cash4Coins gives them the freedom to accept cash donations in any form whether it’s a jar full of euros or a fistful of dollars. We can help you with your charity fundraising and have got lots of ideas for your campaign and ways to ensure a pain free and smooth collection. It’s a great way to raise money. Because banks will NOT change foreign coins, contributors do not feel like they are being asked to part with their hard earned cash – just the leftover foreign coins accumulated in their change jars over the years! This is why a foreign coin collection is one of the best fundraising ideas for charities. It’s certainly helping many of our customers to afford those essential items and to keep their charity account balance nicely topped up. Our team here at Cash 4 Coins are very proud of the service we offer our clients, not only are we happy to provide fundraising ideas for charities but if your collection weighs more than 5kg we will collect it for free by courier. That means all you need to do is bag it up for us or pop it into an envelope and we will do the rest. That’s a far cry from lugging all of your coins in a carrier bag to the bank! So if your looking for fundraising ideas for charities, contact us for further information and ways to collect – it really is the best way to raise funds for your charity. 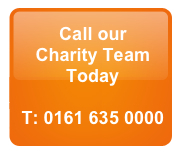 We would be delighted to help you get the most money for your charity.